The Space Show is a non-profit 501C3 and California Public Benefit Corporation. Our parent 501C3 corporation is the One Giant Leap Foundation (OGLF) (www.onegiantleapfoundation.org). We understand that you have choices in making your tax deductible contributions and we certainly appreciate your including us in your gifting priorities. Contributions to The Space Show should be made through Pay Pal or if by check to One Giant Leap Foundation. Mailing and Pay Pal instructions can be found by clicking on the Pay Pal button on the right side of our home page, www.thespaceshow.com or by clicking on the OGLF page, www.onegiantleapfoundation.org/individuals.htm. From The Space Show home page, please use the Pay Pal button on the right side (www.paypal.com/webapps/shoppingcart. Don't forget The Space Show Amazon support programs. 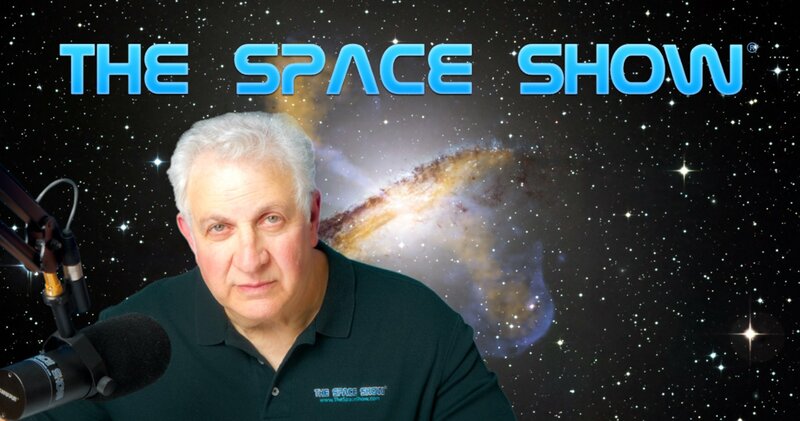 For more information and to have your Amazon purchases help support The Space Show, please click on the large Amazon button near the center of our home page. Space Show business and corporate sponsorships for 2019 are now available. Our program is unchanged from 2018. The sponsor gets his business banner ad placed on The Space Show home page plus I will read a 60 second or less sponsor PR message on each full length Space Show program. On the 60 minute programs, I mention each sponsor by name and thank them for their sponsorship but to save time for the guests, I don't read the respective 60 second PR sponsor messages. For information on being a sponsor, email me at drspace@thespaceshow.com. These sponsorship opportunities are limited given I read the sponsor message on each regular length live show. Only so many messages can be read without eating into the guest talk time so if you are interested, please contact me as soon as possible. Per above, you can make your donation online using Pay Pal by clicking on the Pay Pal logo on the right side of our home page. For those of you who prefer mailing a check, please make your check payable to One Giant Leap Foundation, Inc. and mail it in care of me to P.O. Box 95, Tiburon, CA 94920 USA. Remember, your gift makes possible The Space Show programming and all of the services we provide including our blog. Your generous support makes it possible to bring to all of you a wide variety of topics, issue discussions, factual information, timely analysis, a toll free line, listener interaction with our guests, and innovative guests from around the world. And don't forget our blog which is available both before and during a program as well as after the program has aired and is archived. As I always say, your donations and support are what keeps The Space Show on the air. Thank you for your support. I look forward to sharing the New Year with you through The Space Show and OGLF. Please contact me at drspace@thespaceshow.com if you have any questions. Let's all work to make 2019 a banner year for space, prosperity, health, and peace around the world. Finally, I want to stress just how much your gift to TSS and OGLF is appreciated and needed for 2019 and beyond.